Additive manufacturing (AM) is in transformation. Without doubt, the industry is being driven ahead at an enormously fast pace of innovation. AM is changing perspectives, products, logistics, processes and supply chains, even business models. Everything is new, open and undergoing a process of change. Indeed, experts are projecting market growth of 400 percent for AM over the next 10 years. As you can imagine, in response to this industry-specific pace of innovation, many business decisions will have to be made to meet the expected demand, in terms of technology as well as just in terms of production capacity. This dynamic market growth has translated into annual sales increases of 40 to 50 percent at my company, Concept Laser, since 2009. In 2014, our sales actually grew by 75 percent year on year. How is it possible to explain to an audience how a company was created almost out of nothing, and then also creates components almost out of nothing as well? How is it possible to explain the numerous opportunities without losing perspective? A good deal of scepticism is often encountered on the eve of major changes and, especially, paradigm shifts. It’s the old defending itself against the new. In 1943, the boss of IBM, Thomas J Watson, estimated that the world would need precisely five computers in total. Today, you could put the following spin on his comment: PC, notebook, tablet, smartphone and e-reader – five computers per user. Companies can be divided up into the following categories: those that get things moving; those that watch things moving, and then respond; those that watch things moving, but don’t respond; and those that completely fail to notice that things are on the move. In a study commissioned by Germany’s Commerzbank, companies were surveyed about how they judge AM. Most companies (84 percent) were aware that fundamental changes are underway in the industry, but for the most part they were waiting to see which way the wind would blow. The majority are just marking time, despite the fact that tectonic plates are shifting. Only 15 percent of companies are innovators, the study reveals. There is another important phenomenon that can be observed on the eve of changes: that the counter-arguments are deeply rooted. To a certain extent, they arise from ‘the good old days’, from a kind of selective recall. It represents a blinkered approach to current technical developments, with incorrect estimates reliant on outdated prejudices. Changes generally trigger anxiety. What’s going to hit us now? Where will my place be? There’s a joke that claims only babies in wet nappies like changes. The only way to assuage worries about change is by fielding arguments – and when it comes to AM, there are some very convincing arguments for looking to the future. How bold do you want to be? Or, to express the idea better, how bold should you be? As an entrepreneur, you need to take entrepreneurial, financially orientated risks, and take a proactive approach to shaping a company. If you always want to do the job even better, then you are acting as an entrepreneur. According to Joseph Schumpeter, companies that push through innovations and make investments create growth. For him, ‘creative destruction’, in which a new technology displaces an old one, was important. This Schumpeter model can be applied to AM in 2015. The opportunities for companies as vendors, service providers or users of AM are great. One thing in particular is clear: those who want to use a fully digital process sequence, the early adopters, will seize opportunities that offer significant competitive advantages. AM is a revolutionary development for the world of production. Innovations such as these ensure that the world moves a little faster than before. AM is already one of the leading drivers of innovation for new production strategies, and is serving as a platform for the development of new product ideas. And it’s important not to forget the option of local, on-site production and production-on-demand. Why should we continue to rely on outsourcing to China? AM enables decentralised production (like micro factories, for example) wherever the markets are. And, above all, this can happen everywhere at the same quality level. I am convinced that AM can trigger positive employment effects in the USA, Europe and developing countries. According to John Locke, nothing leaves a gentler and more lasting impression on the human spirit than setting an example. Pioneers and role models can be found in AM in extremely diverse sectors. I want to take two examples to show why one and the same technology – in this case laser-melting metals – is already attracting a great deal of attention today. In the past 10 or 15 years, the aerospace business has developed into a very important pioneer for AM. In contrast to the automotive industry, parts procurement and parts manufacturing in aerospace are characterised by small batch sizes, maximum safety requirements, extremely long lifecycles and extremely high mechanical or thermal loadings during launches, landings or turbulence. AM is an option for making better use of the potential to add value, but why is this? Airbus is busy rethinking all previous designs, because titanium brackets for the new Airbus A350 XWB have shown how great the lightweight construction potential of AM is. However, Airbus also advances other arguments: functional integration, minimum waste, faster pace of development, improved cost structure, production-on-demand, new spare parts logistics, shorter inspection times, retrofit options, one-shot production, decentralised production, multiple service providers as suppliers, and the same quality and documentation worldwide. It is estimated that about 80 percent of a jet engine will be printed in future. In medical technology, it will be possible to make implants specifically for individual patients and manufacture multiple implants simultaneously on one build panel. Instead of a standard artificial hip, an AM artificial hip will be specifically adapted to one patient. To take one example from many, I would like to single out the spine cages from Tsunami in Italy, which are manufactured for individual patients. These laser-melted spine cages can combine the biocompatibility of titanium with the elasticity of a plastic part in one unit, and with an optimum, porous surface structure. And that is not all; the additive part can be built up with the precise dimensions for it to fit perfectly into the spinal column of the patient. It goes without saying that the patient benefits enormously from this kind of customisation. 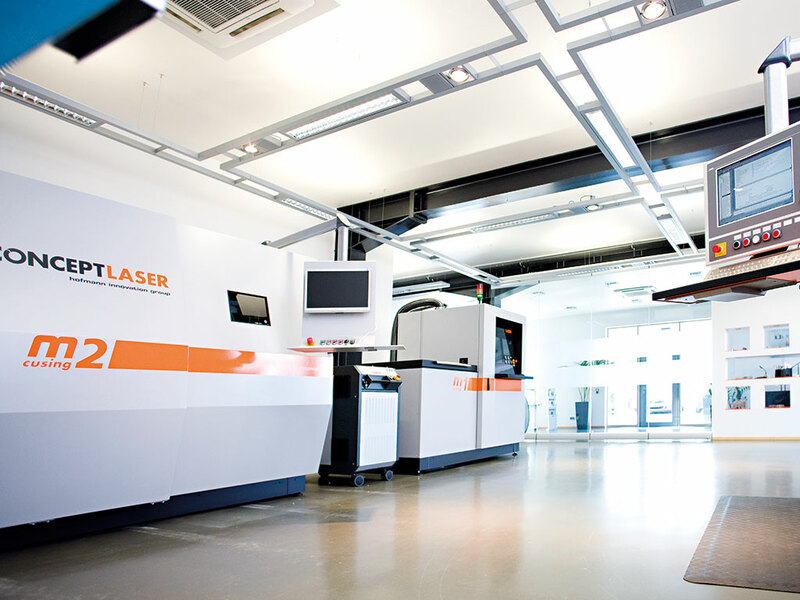 Where is additive manufacturing heading? For me, the way appears to be the goal. 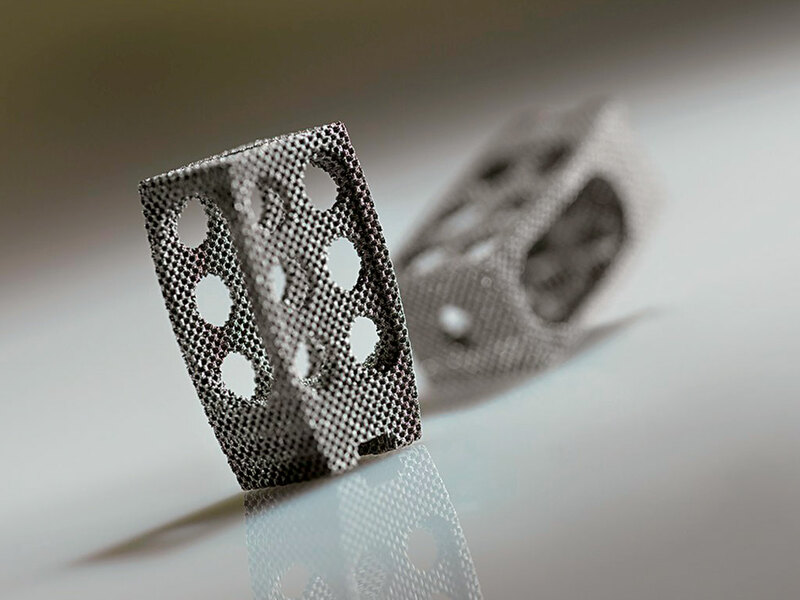 Whenever the digital, additively manufactured component will be better, offer higher performance, and be available faster, as well as being lighter and more cost-effective, the additive manufacturing option represents the correct solution.